No one can manipulate the elements of past and present like Monk, and this film is a complex hommage to an earlier work, revisited and remounted — “a meditation on rites of passage,” as Monk describes it. A kind of global road movie that hypnotizes from its first sights and sounds, its communal movement and the singing of its elegant score remind us that ancient people expressed their spirit in just this way. And, as Monk reinterprets ith, the idea has lost none of its power. Benjamin Millepied is the unmatched poster child for dance. And despite his obvious charm and bilingual smarts, a profoundly talented and musical choreographer with a large and growing palette. (https://apollosgirl.wordpress.com/2012/05/31/apollos-girl-30/) Dancing is Living follows Millepied’s peripatetic career as he moves at high speed from New York to L.A., to Lyons, to Russia, and back. His commitment to dance is focused on underserved kids in L.A., on the fascination of juking, and (among other things) on creating a safe haven where choreographers can collaborate and rehearse. Millepied is clearly at the top of his game; the film leaves you wanting to spend more time with him and his creative process–perhaps at a slower tempo. This is a debut film from a natural born filmmaker, who has moved seamlessly (and joyfully) from teaching music to children to sharing what she has learned from them by connecting the game of handclapping in its many incarnations to a primal, entirely universal rhythmic expression. 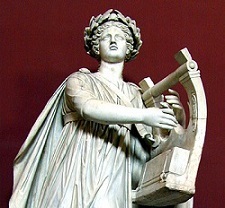 The stories hidden in the verses that children chant or sing as they clap remind you of Mother Goose; there are meanings with resonance to be decoded. But mostly to be enjoyed. I dare you to sit still for this one! For Born to Fly, on the other hand, you may want to hug your chair and hang on to its arms very, very tightly. Streb’s dancers, and Streb herself, not only fly through the air, but fling themselves at walls and floors, with seemingly no regard for personal safety. They are deeply committed to Streb and to her regimen, which simply takes no prisoners. You will be torn between marveling at the obvious passion and full-body pyrotechnics shared by the company and meditating on the fact that they work and live on the edge of subsistence, with no accident insurance. And, finally don’t miss the newly-restored version of All That Jazz (Bob Fosse, 1979) on a big screen–the only way to savor this once-and-always miraculous capture of huge talents. If you want to know how many nominations and awards it garnered, prepare to spend some time on IMDb. But also prepare to keep gasping at Alan Heim’s editing, which propelled dancing into another dimension altogether long before digital would have made it easier. But not better, because it’s still as good as it gets. http://www.filmlinc.com/films/series/dance-on-camera-2015. 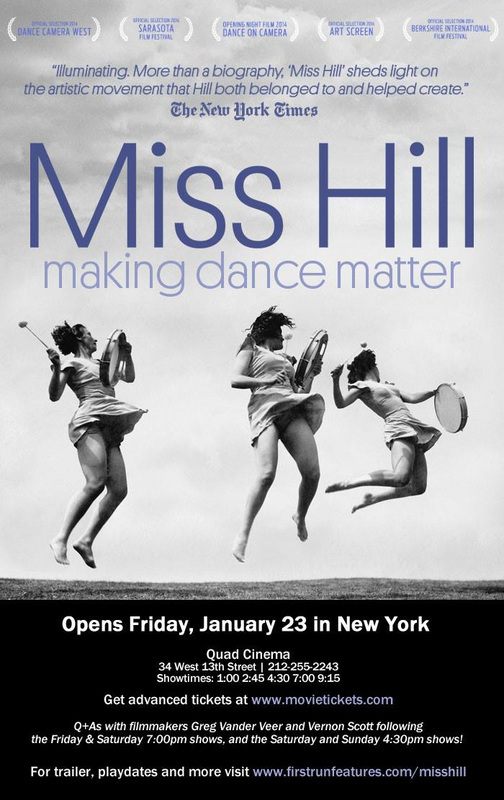 And here’s a 2015 good news update: last year’s Dance on Camera opening night favorite, Miss Hill: Making Dance Matter (now playing at the Quad Cinema in New York) has just been extended another week, through February 5th. (212) 255-2243. If the Shoe Fits… See It! The Elizabethan/Jacobean Dekker collaborated on most of his extant works, on such successful and admired dramas as The Witch of Edmonton (with Ford and Rowley, 1621), Westward Ho! (with Webster, c 1607)) The Roaring Girl (with Middleton, about 1609?). He worked mainly with theatre companies that were rivals to Shakespeare’s. He worked with, made enemies with, made friends again and collaborated with Ben Johnson. 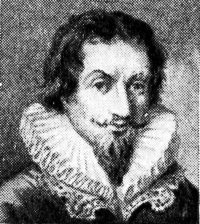 He wrote political and other pamphlets of some notoriety that give us amazing and fascinating glimpses into the life of his times; and he lived in Debtor’s Prison for seven years from 1612. 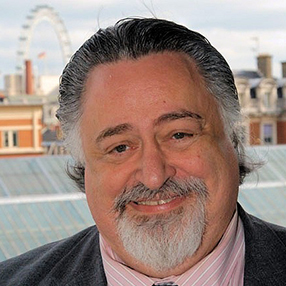 His work spans and spins around the various fashions of the Elizabethan Golden Age of theatre and then shifts to the Jacobean style and fashion under James I. He dealt with plagues, coney-catchers (criminals), the War of the Theatres and London life; His one undisputed solo masterpiece is the now-rarely-performed The Shoemaker’s Holiday; and the Royal Shakespeare Company has just mounted a sparkling and endearing new production that explains why Clifford Leech rated Dekker highly. This new production of The Shoemaker’s Holiday is consistently energetic, brilliantly designed to interest the eye and to convey the era in which the play is set, and so full of apt activity throughout that it invigorates the audience, yet is paced to allow the characters to have moments of stillness and contemplation. Phillip Breen’s direction of the play cleverly and sensitively convinces us easily of the masterpiece that it is. I came away wanting to read the text to get more of a grip on the action and the language and certainly hoping that this production will inspire even more directors to attempt new interpretations (though this one is more than satisfying). Having never seen the play before, I was relieved that it lived up to its high reputation. Like all masterpieces, The Shoemaker’s Holiday is very much of its era—yet timeless; a dramatic comedy not about aristocrats, but firmly centred on the artisan classes living in a recognizably urban and teeming London. Set clearly in the time of its writing, it constantly provokes topical comparisons: we cannot help thinking about Afghanistan and Pakistan and the Middle East today, or of ruthless bankers and corrupt politicians, as the play unfolds. Perhaps this is because Dekker himself was doing the same slippage of references. Instead of the contemporary wars in Ireland, he seems to be setting his tale in the time of the French wars a century of so before. 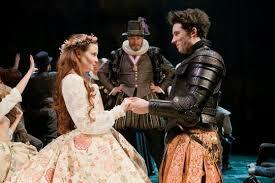 Breen’s meticulous staging, with Elizabethan costume, and the visual allusions, convey layers of meaning to the audience at high speed. The cast is well-drilled in movement, meaning and a sure conviction of the poignancy of the tale underlying the madcap japes and jollities for which it is famous. While Henry V was celebrating heroic victories like Agincourt down the street at the Globe theatre in 1599 , at the Rose theatre Dekker was shwoing the impact of war on the Home Front (akin in its meaning in some ways to the 1944 Selznick film Since You Went Away!) The subject of the play is part comic Romeo and Juliet: an aristocratic young man, Rowland Lacy (appealingly portrayed by Josh O’Connor), is in love with the bourgeoise Rose Oatley (charming Thomasin Rand), and neither family is very happy about what they perceive as an unfortunate misalliance that must be stopped at all costs. Forced to go off to wars in France, Rowland secretly returns to hide in London as a Dutch shoemaker (much comic cod Dutch is spoken by him as a running joke). 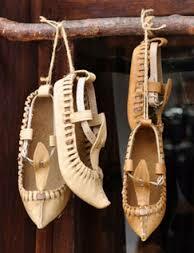 How he learned to speak Dutch and also make shoes is one of the delightful back stories to this play. And from then on we follow his fortunes among, and sympathies with, the artisans. Meanwhile, Ralph Damport (a very touching Daniel Boyd) is forced to leave his new wife for the fighting. And who makes him do that? The very Rowland Lacy who is our hero. 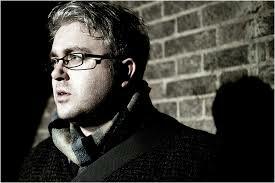 Ralph returns maimed and desperate to find his lovely Jane (Hedydd Dylan) who has disappeared. She is, in fact, about to be tricked into a marriage by the salacious and wicked aristocrat Hammon (Jamie Wilkes) who has shown her Ralph’s name among the war dead. 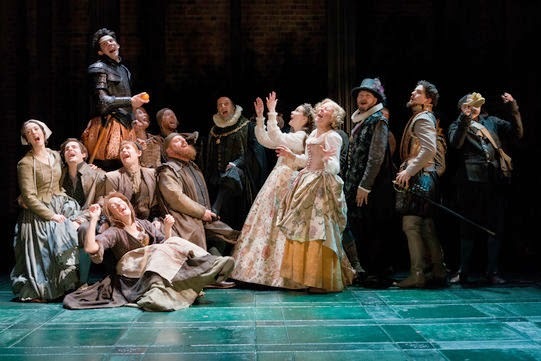 With David Troughton dominating the action at times as the Falstaffian shoemaker boss Simon Eyre, who rises to be Lord Mayor of London by the end of the play (a nice bit of social hopefulness for 1599? ), the busy skein of plots is convincingly and clearly conveyed and the deeper pains and issues of the characters are amply implied or shown among all the rough-and-tumble. 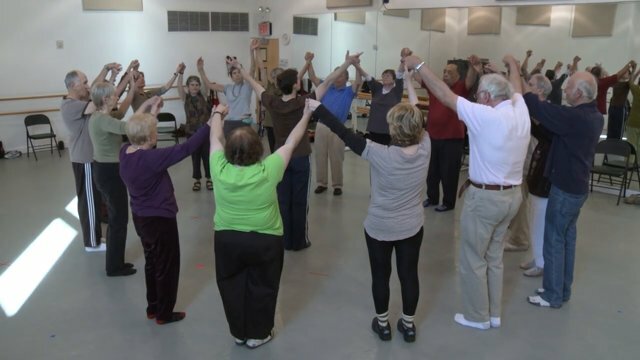 Music and movement enhance the experience of this often-neglected play. The king who appears quasi-ex machina at the end might be Edward VI or Henry V (even though the show was written in the reign of Elizabeth I and played before her by royal command. Why a King in the era of a Queen? It doesn’t matter. He’s an ideal and idealized monarch, a mixture of royal metaphors. And though the play ends as a comedy, and with dancing and marriages, and is quite a romance in its way, and even though there is much gentle sweetness in the writing (along with the satire), the dark shadow of looming battles in France is invoked in the final sequence. Rowland will have to go to war after all, and Ralph, though reunited with his Jane with the help of his artisan peers, will still have to live with his injuries and disfigurement for the rest of his life. Who doesn’t need good news in 2015? Especially when it’s about a film that has everything going for it: https://apollosgirl.wordpress.com/2014/01/31/apollos-girl-43/. Its run begins on Friday, January 23 at the Quad Cinema, 34 West 13 Street, NYC (212) 255-2243. 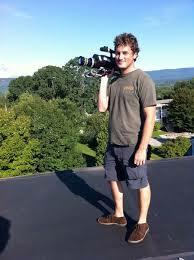 Bonus: the filmmaker will be there at 7pm on Friday and Saturday, and at 4:30pm on Saturday and Sunday. Even bigger bonus: the film has been extended another week (through February 5); don’t miss it! As with every film, the hardest part of making Miss Hill was raising the money for it. 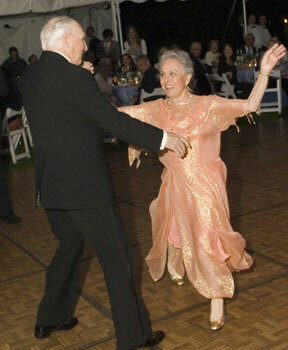 Vander Veer credits the Martha Hill Dance Fund, with its enormous list of executive producers. All were volunteers, inspired by the sense of community Hill built in her lifetime. “A community that really changed the dance world,” he adds.